Rescue every braai with our Heroes® Range! South Africans love to braai and the standards we set for our time around the fire are high. That’s where Heroes® comes in. The industry-leading range is made up of four spice products, all made with the perfect braai in mind. 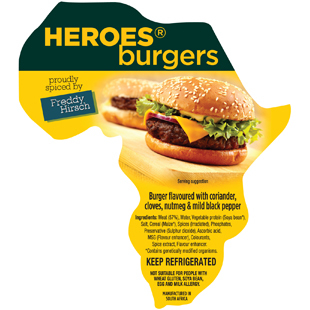 Heroes® Burgers (803097) — a savoury spice blend with top notes of coriander, cloves, nutmeg and black pepper. 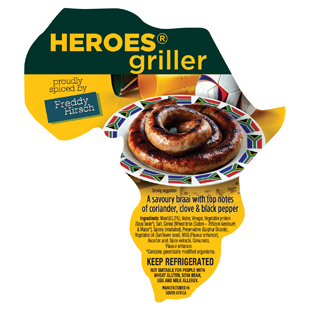 Heroes® Braai/Griller (803056) — a savoury spice blend with top notes of coriander, clove and black pepper. 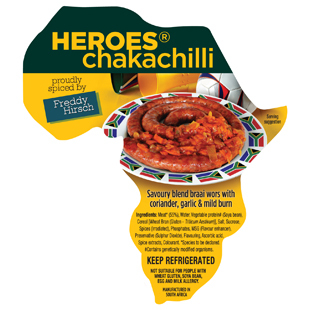 Heroes® Chakachilli Griller/Braai (803166) — a savoury spice blend with top notes of coriander, garlic and a mild burn. 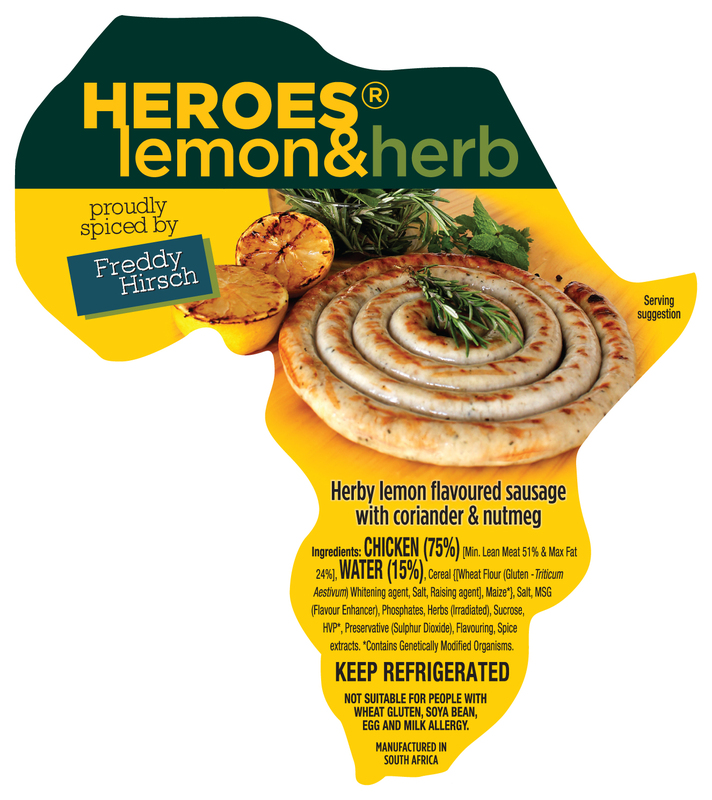 Heroes® Lemon & Herb Chicken Sausage (803173) — a herby lemon flavoured spice blend with top notes of coriander and nutmeg. The packaging of all Heroes® products is bright and warm. The colours may remind you of Bafana Bafana, with a primary colour of rich yellow and a secondary colour of dark green. The Heroes ® Range stands out on the shelf, making the products instantly recognisable and easy to find. Our Heroes® products can also be used to create exciting, innovative dishes. Have a look at this tasty kofta curry recipe as an example. It uses the Heroes® Griller! The entire Heroes® range is available at your nearest Freddy Hirsch Cash & Carry. Each order comes with attractive, attention-grabbing product labels. Give these products a try and let us know what you think! You can view our catalogue for more exciting Freddy Hirsch products right here.